Share the post "Quick plays: CLIMAX BLUES, THE LUCID DREAM"
The PR sheet says there has been a country music revival in the UK and that certainly bears up given the success of artists like Lady Antebellum and Taylor Swift (although you could argue she has gone more mainstream pop now). Lucy May has already had airplay for her previous single ‘Paper Heart’, most notably on BBC Radio 2. This four song EP is released ahead of her album due in April. The title track is a fast paced country pop tune, very radio friendly and Lucy May has a melodious voice. ‘Hooked On Your Love’ is a tad more traditional country with its pedal steel guitar in the background. The other two songs are acoustic versions of ‘Hole In My Heart’ and ‘Hold You In My Arms’, both show off her strong vocal. 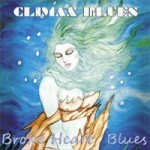 This album is a collaboration between Robin George and Pete Haycock (he was involved in the first ELO Part II line-up), one of the founding members of the Climax Blues Band (note this CD I guess couldn’t used the ‘Band’ tag as the band are still going!). This was recorded in 2013 and sadly shortly after completion Pete Haycock passed away in October 2013. It is an interesting mix of styles, as you have the blues rock of Pete Haycock shining through on ‘Blue Monday’ and then on the pacy ‘Miss You’, those hook filled choruses that Robin George does so well work to great effect on a big blues riff. Great to hear two guitarists having a blast (check out the soloing on ‘Lonely Avenue’ amazing stuff), with the sax of Mel Collins really adding to the soul/funk sound on a couple of songs. Jacquie Williams is the album’s secret weapon as she adds oomph into the backing vocals and gets the odd spot to show her vocal strength. The Crunch release a new single, 'Neon Madonna', ahead of their new album due in April. The band are a bit of punk/alt rock supergroup as the line-up includes the Clash's drummer Terry Chimes, Sulo Karlsson of the Diamond Dogs and Mick Geggus of the Cockney Rejects. This is the band’s third album and they formed om Carlisle back in 2008. For a four piece they certainly create a wall of sound as the reviews from their earlier albums suggest. They reminded me a lot of the Stone Roses at times with their extended trippy musical passages. This entry was posted in ALBUM REVIEWS, ALBUM REVIEWS (Mobile), All Posts, Quick Plays, Single and EP reviews and tagged album, Angel Air, blues, Broke Heart Blues, classic, Climax Blues, country, EP, Lucy May, Pete Haycock, pop, review, Robin George, rock, Whirlwind. Bookmark the permalink.